Applications for LE Romania are closed! Location: Volunteers will teach in two different communities each located in one of the four to five counties LE works with every year. Orientation: Volunteers will arrive four days before teaching begins for orientation in Budapest. 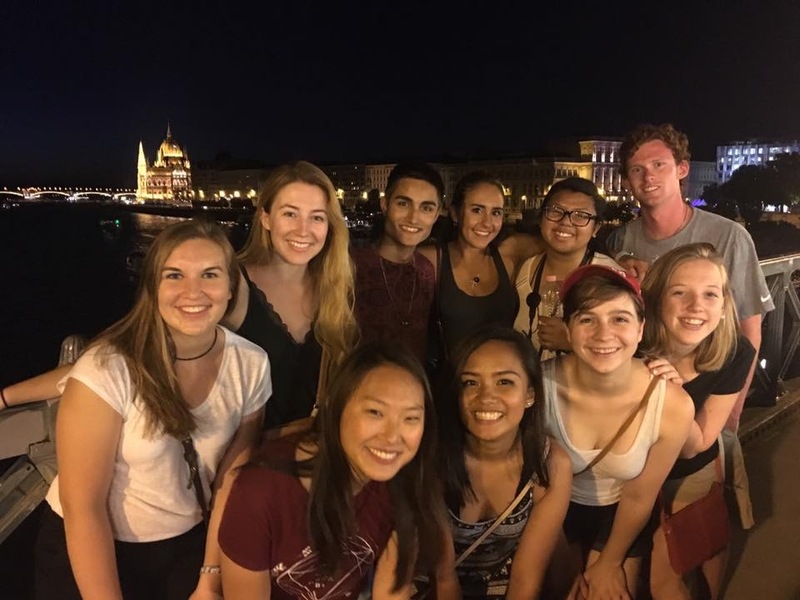 This is a great opportunity for you to get to know the other volunteers, the program director, get acclimated to the new environment, and be introduced to Eastern European culture. During this time, we will discuss lesson planning and other teaching strategies that will help you to succeed in the classroom. There will also be time to explore one of the most beautiful cities in the world. The Chain Bridge, Danube River, Margitsziget, ruin bars, castles and thermal baths are just some of the many sites one can experience in Budapest! On the Saturday following orientation, you will travel (by bus or train) to your assigned location in Romania. Host families will pick you up directly from the bus/ train station. They will go over information about their school schedules and the process of getting to school. Once with your host families, you will not have many expenses (other than buying souvenirs for loved ones back home and gifts for students and host families) since transportation, food and housing are all provided by the host family. Midpoint Break: During the midpoint break in the beautiful Romanian city of Oradea, volunteers will take the opportunity to debrief and reflect on their first teaching experience, exchange teaching ideas/ lesson plans, and discuss ways to improve teaching strategies with their fellow volunteers. Volunteers can also partake in more cultural and scenic outings, indulge in some well-deserved down time, and ultimately reconnect with their fellow volunteers before traveling to their second placement. 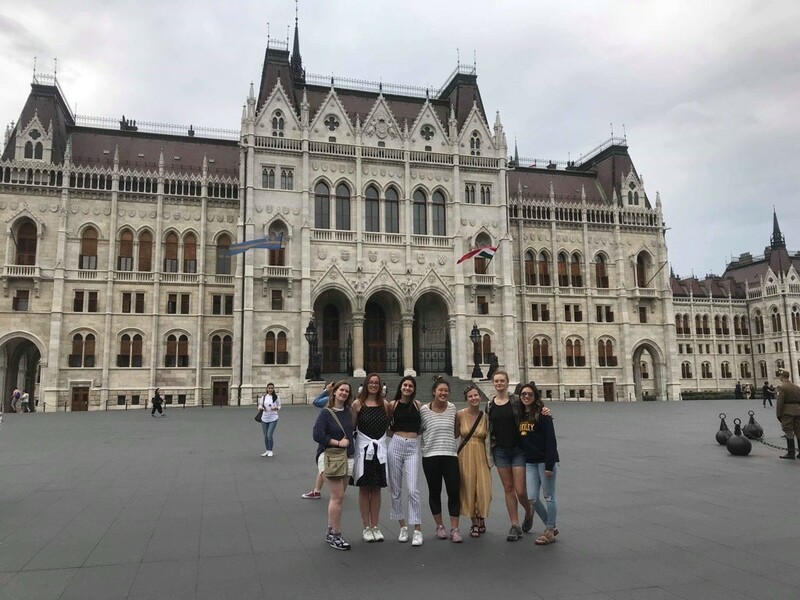 Closing Ceremony: After their second placement, volunteers will travel back to Budapest by bus or train to conclude the program with a one day closing session in Budapest. This is an opportunity to reconnect with the other volunteers for a final brief program reflection. 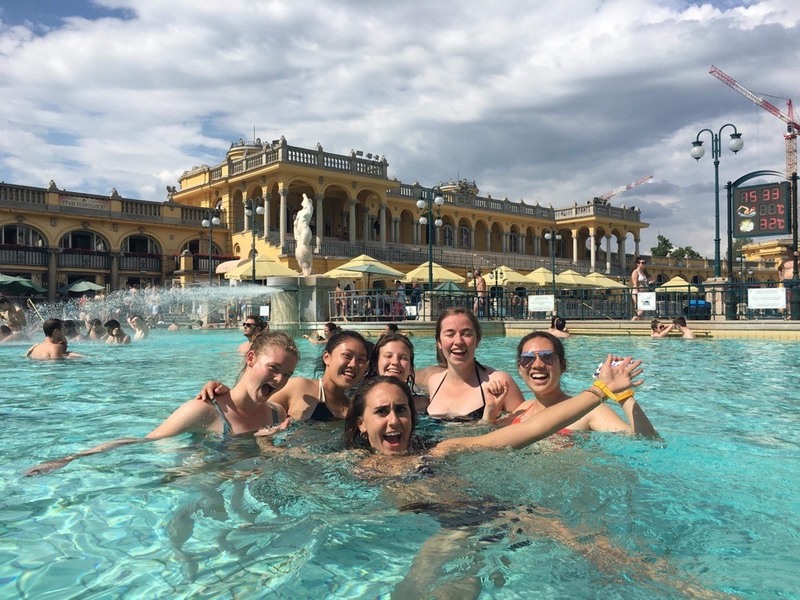 Volunteers will experience a little bit more of the Budapest before heading home or continuing on their travels. Hardworking - expect to develop thorough lesson plans and spend a lot of time outside of class preparing/adjusting your curriculum before and during the program. Creative - volunteers will be facilitating lessons during the summertime and students are likely to not want to sit in their desks learning English for long periods of time. Willing to get the students up and moving, and think of creative and interactive ways to instruct English and engage students. Independent - will likely be the only volunteer in your village, and will be spending an extended period in a foreign country. Flexible and resourceful - teaching and living abroad can create unexpected situations and challenges that one must handle with maturity. Open minded, adaptive - people, cultures, customs, traditions, and living conditions greatly differ to those of the Western world. It is essential to have a genuine desire to integrate into the culture, meet new people, and experience a different culture. Eastern European host families are extremely warm, welcoming, hospitable, accommodating, and will be eager to show you their local sites, scenery, and surroundings. Families typically have children, and at least one English-speaking member. 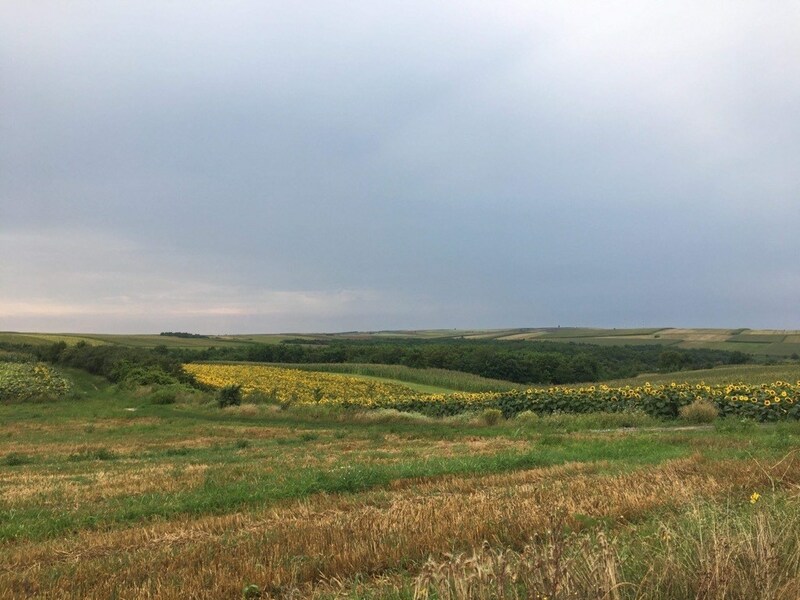 You will likely spend much of your free time attending various family-oriented events and gatherings, and can also walk through the region’s iconic sunflower fields, go hiking with your host siblings, visit the ocea (pool), play soccer, go out for ice cream, experience a village festival with traditional Hungarian dancing, and spend many long nights having laughter-filled conversation! You will likely be placed in a small village, although some volunteers are placed in larger urban settings. Everything will be within walking distance (including the schools), although some families may provide bicycles for added convenience. However, if placed in an urban setting, transportation to schools may take a bit longer (up to one hour maximum), and involve using the city’s transit system. While you may not be far from your fellow volunteers and transportation between all villages is easily accessible, you’ll probably be too preoccupied with the activities in your own village and host family to visit one another. Houses contain moderate amenities, such as running water, plumbing, electricity, and accessible internet. Families also usually have televisions, cellphones, and cars, but likely will not have air-conditioning. Due to its continental climate, Romanian summers do get quite hot and humid, but most houses are built to accommodate this. Volunteers teaching assignment locations range from schools to community centers to religious camps. While many places provide teaching supplies such as paper, pencils, and potentially even projectors, it is highly recommended that volunteers bring supplies with them based on what their lesson plans require. Supplies such as a beach ball, stickers, and American candy have proved handy in the past! Student ages usually range from 5-18 years old but volunteers in the past have taught classes of adults looking to learn or improve their English. The range of English spoken by students varies from none to fluent so expect to teach more than one class formed based on language proficiency, although it is entirely up to the teacher's discretion on how to divide the students up. Volunteers will teach a minimum of 2 hours per day, 5 days a week. But this can range to a maximum of 8 hours per day depending on where the volunteer is teaching! Often, teachers themselves have difficulties teaching grammar so focusing more on conversational English is beneficial, especially since it is a skill that cannot be learned in a textbook. And volunteers should not forget that students are on summer break; having fun with lessons plan and going beyond the classroom makes learning more fun for the students and the volunteer! Each volunteer will be required spend additional time with their students outside of the classroom (community permitting) engaging with them in extracurricular activities such as meeting with students at a local restaurant once a week to practice English or playing soccer after class. While LE Romania does not require any language proficiency besides English, it is important to note that volunteers will most likely be exposed to Hungarian as well as Romanian during their teaching experience. The Parliament Palace in Bucharest is the second largest building in the world, behind only the Pentagon. The archetypal vampire Count Dracula, created by Bram Stoker, was inspired by the Romanian prince Vlad Tepes, also known as Vlad the Impaler because he was fond of impaling his enemies and standing them along the roads. Romania is home to Europe’s largest salt mines. MEET YOUR PROGRAM DIRECTOR, GABRIELLE! 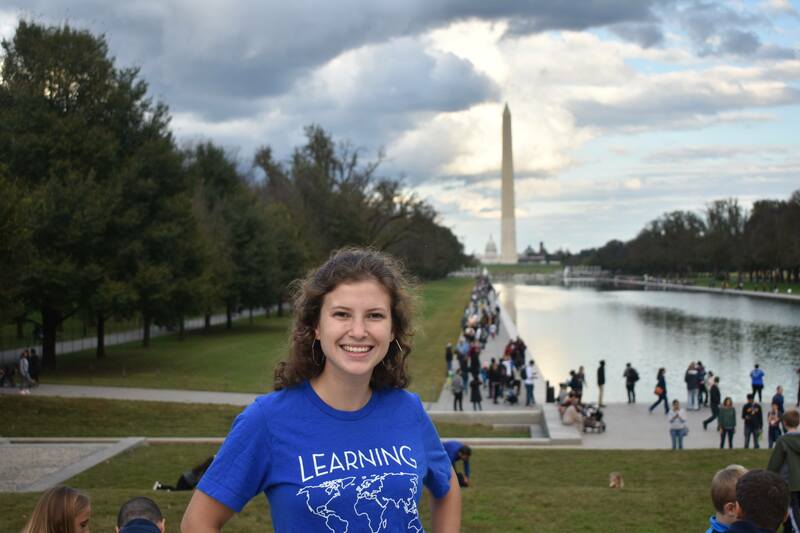 Gabrielle Cascio is so excited to return to Learning Enterprises as the 2019 Program Director for Romania. She became involved in LE last year as a volunteer on the Romania program and cannot wait to go back. As Program Director, her goal is to prepare volunteers to handle anything that is thrown at them during their six weeks of teaching. She is a junior at the George Washington University in Washington, D.C. double majoring in English and International Relations with a concentration in International Development. Professionally, she is interested in education development at home and abroad as well as nineteenth century literature. Personally, she loves reading fiction, trying new foods, and traveling. Interested applicants can reach Gabrielle at romania@learningenterprises.org. Check out LE's spot in the Romanian media!